How is Your Information Stored? Does Your Website Retain any PII (Personally Identifiable Information) or ePHI (Electronic Protected Health Information)? How Are You Keeping this Information Secure? Do You Use Online Forms? Or Would You Like to Use Online Forms? If So, Are You Sure That The Forms Are Transmitting Information Securely? Do You Allow Patients to Email You Through Your Website? If So, How Are Those Emails Transmitted and How Are They Then Stored? Do You Have a Signed Business Associate Agreement with ALL of Your Vendors? Even Your Electronic Vendors? This is an Important Document that Protects YOU! Have You Conducted a Thorough Risk Analysis that Has Uncovered Any Vulnerabilities of Your Practice's Administrative, Physical or Technical Areas? Do You Have Privacy and Security Policies & Procedures in Place? Do You Know If Your Network is Secure? There's a BIG Difference in an IT and a Network Security Specialist! Who Are You Trusting the Security of Your Practice To? It takes a Lot of Hard Work to Build a Profitable Practice. Unfortunately there are people out there (Hackers) that could care less if you lose Everything overnight. They are only concerned with making a quick buck and do not care about who they hurt or what lives are destroyed in the process.  Making sure you have a HIPAA compliant website design is unfortunately often overlooked, often only addressed once damage is already done. Similar to how you are keeping up with the latest trends so you can provide better treatment for your patients, Hackers are becoming more and more sophisticated in learning methods to break into websites and extract Protected Health Information (PHI) that they then sell in the cyber underworld or black market. Our Security Team stays on top of the latest trends to ensure appropriate protection of your client's Electronic PHI so you can keep your focus on the best treatments for your patients.